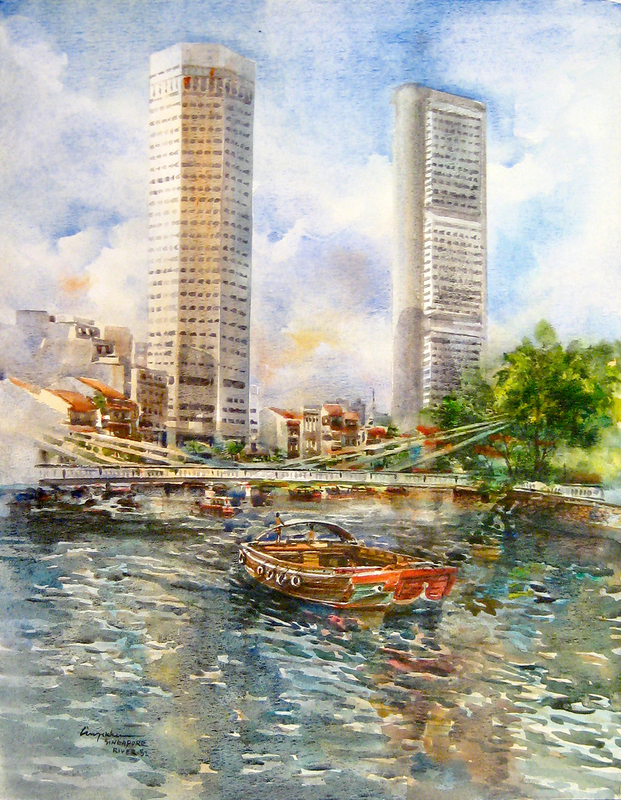 Goh specializes in painting iconic and historical buildings in Singapore's cityscape, such as the former Supreme Court, Padang, Singapore River, Chinatown and old townhouses. Often, his paintings are limited to a few colour tones with a subtle inter-play of shades and tones with fresh perspectives and compositions. Vivid brushstrokes is also a key feature in his works which makes his work discintvely recognizable.